When it comes to planning and saving for retirement, it’s not uncommon to feel overwhelmed by the mere thought of the notion. While we all want to bask in the glory of an eternally comfortable golden era, getting there does require an investment of time and, of course, money. But the road to retirement is long and paved with detours. Fortunately, most working Americans already have access to an easy-to-understand and even easier to buy retirement product, the staple of almost every employer’s defined contribution plan — the 401(k). Appropriate at nearly every age and every point in your career, investing in a 401(k) is a smart way either to begin or supplement your retirement savings plan. Below are five simple reasons why you should absolutely take advantage of that company-offered 401(k). Setting up your 401(k) is one of the easiest investment experiences you’re likely to have. This is because in most cases, you simply ask your company’s human resources guru to enroll you in the company’s defined contribution plan. Some companies require you to have worked for the organization for a certain period of time before you’re eligible to participate in the company 401(k), but once you’re ready to contribute, all you need to do is tell HR how much you’d like to contribute and how you’d like them to invest your funds — they handle all the details and take the contribution from your paycheck. One extraordinarily appealing aspect to 401(k)s is that all the money you invest grows at a compounded, tax-deferred rate. You continue to earn tax-advantaged benefits until you start withdrawing your funds, at which point you must pay taxes on that money. Furthermore, anything you contribute to your 401(k) in a given tax year can be taken as a deduction, lowering your taxable income. And because of its tax-deferred status, increasing your contributions even by a little bit can lead to dramatic 401(k) growth over time. With a 401(k), you get to decide how much money you can contribute to your plan; not your employer or the company managing your funds. There is, however, a yearly maximum to what you can contribute, but it’s still more than how much you can put into an IRA. Your annual maximum contribution depends on your age: This year’s maximum is $17,000 if you are younger than age 50, and $22,500 if you’re age 50 or older. As for the investment itself, your employer uses either a brokerage firm, insurance or mutual fund company to manage your retirement plan, but you get to choose how that company invests your money based on your risk tolerance and investment preferences. Most 401(k) plans allow you to choose from at least five different mutual funds, bonds or money markets representing different market sectors and degrees of risk. A few organizations even allow their employees to add company stock to their 401(k)s.
Many companies offer an incentive to encourage their employees to save for retirement by way of matching a portion of your own contribution to your 401(k) plan. The match can vary, but 50 cents to the dollar is a common employer contribution. Employers also have a set maximum of how much they’ll match your contribution, basing it either on a percentage of your annual salary, generally from three percent to six percent, or less commonly, on a predetermined dollar amount. This company match is like a bonus, for all intents and purposes, so make every attempt to contribute what’s necessary to get the highest match possible. Once you’ve elected your contribution amount and investment options and communicated those choices to your HR department, that’s pretty much all you have to do. After that, your employer automatically deducts the percentage of income you’ve allocated to your 401(k) directly from your paycheck. You’ll most likely receive quarterly earnings statements from your employer’s plan manager, and some companies also make this information available to employees on a secure website. When all is said and done, you’ll have a solidly structured and properly managed 401(k) working quietly yet constantly in the background, generating retirement savings. As more and more companies from a pension plan to a 401(k) plan exclusively the quality in a 401(k) must be improved. The current model of the 401(k) is that of a supplement to a pension plan. This must change to ensure Americans will be able to successfully retire. Most business owners are far too busy running their comapny with little time to manage a retirement plan for employees and themselves. This is why most should hire a professional fiduciary. According to news reports, employees will keep the pension benefits they have earned to date; however, workers will no longer accumulate new benefits into the fund.The company is moving to a 401(k) retirement plan for most of its employees. The company currently matches contributions of eligible workers up to 5% in the 401(k) plan; however, starting on July 1, the company will start contributing funds into workers’ 401(k) plans, regardless of whether they contribute to the plan. The company will contribute 2% to 3% of a worker’s salary into the 401(k) plan. This is additional evidence that the 401(k) plan is no longer a supplement to a pension plan but rather the sole source of retirement for most Americans. Please comment or call to discuss how this will affect you and your company retirement plan. There will be many service providers looking for ways around the new fee disclosures rules in order to take advantage of plan sponsors and participants. This is unfortunate since the reason for the regualtions is to improve the quality of retirement plans offered to employers. If the retirement plan is to survive in the private sector the interest of plan participant must come first above all else. Ufford thinks the real problem could arise with small-plan advisers who may not have been disclosing detailed information about compensation. Many recordkeepers and other plan services providers already have systems in place to disclose specific indirect compensation because of Schedule C on Form 5500, which has required plan sponsors and administrators to report service provider fees and compensation for plan years beginning in 2009 (see “EBSA Issues Schedule C Fee Disclosure Guidance“). There will continue to be confusion on fee disclosure, particularly when there is a brokerage window within the plan. Plan sponsors will never really know there fee disclosure information is complete or realistic when working with a broker dealer. Please comment or call to discuss how this affect you and your plan. There are seven strategies listed in this article. In my opinion, the most influential is managed portfolios. By offering a more pension fund like plan your company will improve the quality of your plan to the point of becoming a true employee benefit. The most effective plans will automatically put an employee, based on age, into a risk adjusted globally diversifed portfolio. As the employee ages the portfolio will be adjusted to a more conservative risk level. The employee have the option of choosing a more conservative or aggressice portolfio or opting out of the models all together a choosing their own mix. The majority will do nothing and stay in the age appropriate portfolio. This one action will improve results. Reconsider custom target-date funds. Custom target-date funds are tailored to a plan’s specific participant demographics rather than a standard target retirement date that a plan provider applies to all of its clients. These funds and other “default investments” are now cost-effectiveat much lower asset levels, owing largely to efficiencies gained from the growing number of plans employing automatic enrollment and automatic escalation of participant contribution levels, says Toni Brown, director of U.S. client consulting for Mercer’s investments business. This one strategy will do more to improve the results of your plan than any other. By automatically putting plan participants in an age based professionally managed globally diversified portfolio results will dramatically improve over the long term. Please comment or call to discuss how to make you compnay 401(k) plan a pension fund like plan. The most efficient solution for plan participants is a professionally managed risk adjusted globally diversified portfolio. This portfolio is best when it is automatically assigned based on age. Each employee can then determine the correct level of risk for their particular circumstance and make a change to the appropriate portfolio.. The final alternative would be allowing the employee to opt out of the managed portfolio and choose their own fund mix. I believe most employees will stay within the model portfolios and will experience better results with less anxiety. Attitudes towards saving are changing, with 75 percent of survey respondents indicating they would be willing to be automatically enrolled in a 10 percent savings “boot camp” for six months. The survey concluded that 54 percent of participants say they are “very” or “somewhat confident” that their savings are on track to fund their planned retirement lifestyle. Other participants have a much less optimistic outlook. Most place the blame on themselves, with 55 percent indicating they lack confidence because their rate of savings is not high enough and 52 percent indicating they did not start saving early enough. Others blame the economy or the financial markets, and only a few blame their employer. Plan sponsors(employers) will benefit from providing the proper guidance to their employees. If provided with a pension fund like plan stress and anxiety levels will drop. The result will be a more productive work force as well as their retirement plan viewed as a real employee benefit. Please comment or call to discuss how your company plan can be improved. In my opinion the most notable and benefical design is the managed accounts for employees. This allows the plan sponsor to automatically invest employees in a risk adjusted globally diversified portfolio, based on their age. The employee can then, if they desire, opt out of the managed portfolio and choose their own fund mix. I believe most employees will remain in the managed account and will improve results. Put a limit on the number of changes you make per year, along with guidelines for when changes are made. Fads come and go, and not all innovation is for the best. Many companies have a bias towards staying ahead of the curve, which is good in principle, but can get messy in practice because early adopters often make more mistakes that can end up being costly. Sometimes it’s best to wait a little while, watch the results other companies have gotten, and then take that knowledge to roll the innovation out more effectively. This strategy also has a very important benefit for employees: it gives them time to absorb the changes you do make so that they don’t become confused or overwhelmed. It also gives them confidence to know that you have a process in place to thoroughly research all new changes so that they don’t begin to distrust your motives for making change. Adding additional options doesn’t necessarily provide results. 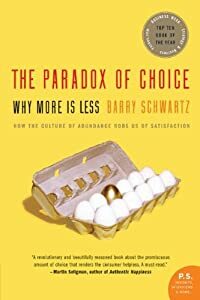 Barry Schwartz, the author of The Paradox of Choice, talks about how our western culture is deeply embedded in the notion that having more freedom-by way of having more choices-is the best way to “maximize welfare,” but more choice actually creates confusion, and employees may end up delaying decisions or avoiding them all together. This has a direct impact on 401k plans, namely that more investment choices have been found to actually decrease participation-the opposite of what employers are looking for. A research study by Sheena Iyengar, Wei Jiang, and Gur Huberman, in partnership with Vanguard Investments, found that for every 10 investment choices offered to employees, plan participation went down about 2%. In effect, employees may be simply throwing their hands up when provided with too many choices. Too many changes in your plan will confuse and perhaps frighten your employees. However, changes are necessary to improve the results of your company retirement plan. The reason for the plan is to provide your employees with the proper tools to retire. PLease comment or call to discuss how this affects you and your company. The regulatory environment for retirment plans is constantly changing to improve the plans offered to Americans. Most small to mid sized comapnies are ill prepared to deal with these changes. Their focus is on running their business, as it should be, rather than running an efficient and effective retirement plan. These companies would offer great plans by outsourcing much of the fiduciary responsibilities to independent fiduciaries(cough, cough). Is a business protected if it has a third-party adviser (TPA)?Having a third-party adviser does not offer protection. It is up to the individual business to ensure that its TPA is on top of this issue and managing its plan to the new guidelines. In addition, business owners and HR directors can be held personally liable for not complying with plan changes. What changes are coming into effect in 2012? One amendment requires a change to the annual limit amount. If your plan adopted the restricted annual limits until 2014 — when annual limits on essential health benefits no longer are permitted — the annual limit amount for the 2012 plan year must be increased to $1.25 million. In addition, there are changes to claims procedures. Although there have been delays in appeals requirements over the past year, those changes finally will be applicable in 2012. However, they do not apply to grandfathered plans. The foreign language requirement is also changing. For plan years starting on or after Jan. 1, 2012, plans must start providing explanations of benefits (EOBs) in foreign languages if sent to an address listed in guidance as having a certain threshold of foreign language speakers. This guidance is found in the preamble to the appeals amendment (visit www.dol.gov/ebsa). Plans also must be able to provide claims assistance in these languages if requested. Also for plan years starting on or after Jan. 1, 2012, EOBs must contain additional content, including denials codes and additional information to identify claims. Plans also must provide diagnosis and treatment codes and their meanings to claimants upon request. The new legislation also requires external review. Self-funded plans must be contracted with at least two independent review organizations by Jan. 1, 2012, in order to meet the nonenforcement safe harbor and must contract with three of these organizations by July 1, 2012. The main message of this article is that plan sponsors are responsible for the compliance of their retirement plan. When plan sponsors rely on their service providers for their plan compliance they may be asking for trouble.. Only an independent analysis will assure compliance and an excellent benefit fore their employees. Plan sponsors can fulfill their requirements by having an independent benchmark analysis done on their plan soon. This analysis will help meet their obligations and result in a better retirment plan for their company. The new rules require plan providers to disclose fees to employees in chart format in quarterly statements. 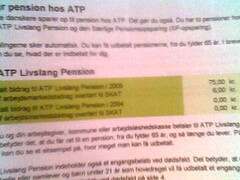 Currently, these statements show investment returns net of fees, so employees don’t know how much they’re paying plan providers or investment companiesthat supply products for their plans.Though the rules require plan providers to disclose fees in an easily understandable format, there are indications that the revised account statements may turn out to be long, confusing documents — something on the order of a prospectus. Confusion will ensue, and employees will queue up at HR to ask what it all means. After making sure employees understand the newly required disclosures — which is, itself, a fiduciary responsibility — employers will undoubtedly be lambasted with bitter complaints from employees who were unaware of the amounts of fees being deducted from their accounts and others who simply thought their actual investment returns were lower. Accordingly, it’s imperative that employers act now to “X-ray” their plans or engage a qualified consultant for that purpose, so they understand precisely what fees are being charged for the services being provided. This will involve reviewing reams of plan documents and confronting plan providers to ascertain fee information. Plan sponsors are unaware of the risks they assume with their company qualified retirement plan and their broker cannot be relied on to avoid these risks. The regulators are placing much more emphasis on enforcement of the rule, including fines and employee lawsuits. Please comment or call to discuss how you can protect your company and provide a better plan for your employees and yourself. Plan sponsors are recognizing the need to understand the fees their plan is paying. Employees will begin to ask questions on fees when they learn what they are paying. Employees may not see evidence of these changes until the spring of 2012. But here are some they may already be seeing, and what to do about them.– Controlling costs is paramount. Not every employee has access yet to those clear fee reports, but there are some ways to see what you are spending. Workers whose plans are covered by Brightscope can see that information on the Brightscope.com Website. Workers can ask their human resources department for a bottom-line figure. As much as 90 percent of 401(k) costs are in the investment management fees, reports David Huntley of HR Investment Consultants. That means the funds you choose have the biggest impact on what you pay. Typically, index funds charge less than actively managed funds. Even cheaper options could include institutional classes of funds or separate accounts that look like mutual fund portfolios but are created especially for retirement accounts. — It’s not all about the cheapest. It’s good to go with the lowest-cost option that fits your objective. That means you shouldn’t keep all of your retirement account invested in an uber-cheap money market fund if you need stocks for the long term. But, once you’re choosing among similar stock funds, you’ll probably improve your retirement income by choosing the lower-cost one. Fees matter and starting in 2012 plans will be required to disclose who gets paid what. A low cost globally diversified portfolio will allow participants to reach their financial goals with less stress. Studies suggest this will result in increased productivity. Please comment or call to discuss how you can determine the fees your plan pays ahead of the regulations. Regulatory changes due in 2012 will help plan participants see how much their 401(k) is costing them. This new clarity of fees will force plan sponsors to take an overall examine of their company plan. In this, the year before a new series of fee disclosure regulations take hold, plan sponsors’ sense of fees paid by their plans was all over the board. About a quarter of mega plans (those with more than $1 billion in plan assets) said that the “approximate average expense ratio” of all the investment options in their plan was less than 25 basis points (0.25%), a sentiment expressed by nearly one in eight overall. Nearly half of those mega plans said the overall fee was between 25 and 50 basis points, but 8.2% in this market segment said they “didn’t know.” Indeed, the “don’t know” group was a significant group across market segments; one in 10 in the mid-size (plans with between $50 million and $200 million in plan assets) and large (between $200 million and $1 billion) categories admitted that, as did more than 18% in the small-plan (between $5 million and $50 million in plan assets) category, and a full third of those in the micro-plan segment (plans with less than $5 million in plan assets). That said, more than two-thirds (70.4%) of plan sponsor respondents said they review plan fees annually, and the larger the plan, the more likely they were to do so. However, 6%—mostly among those in the micro-plan segment—admitted they “never” formally review actual administrative costs/fees. In a new question in this year’s survey, we asked who was paying those administrative/recordkeeping costs—and, perhaps somewhat surprisingly, a clear plurality (34.6%) said the employer did, and did so exclusively, a finding that included nearly half of micro plans, 29% of small plans, and 15% of plans in the larger segments. On the other hand, larger plans were significantly more likely to say that participants were carrying the costs through revenue-sharing arrangements. In fact, more than a third of mid-size and large plans did so, as did more than a quarter of those in the mega market. Regulatory changes coming in 2012 will change the landscape for 401(k)s.
Please comment or call to learn how this will affect you.